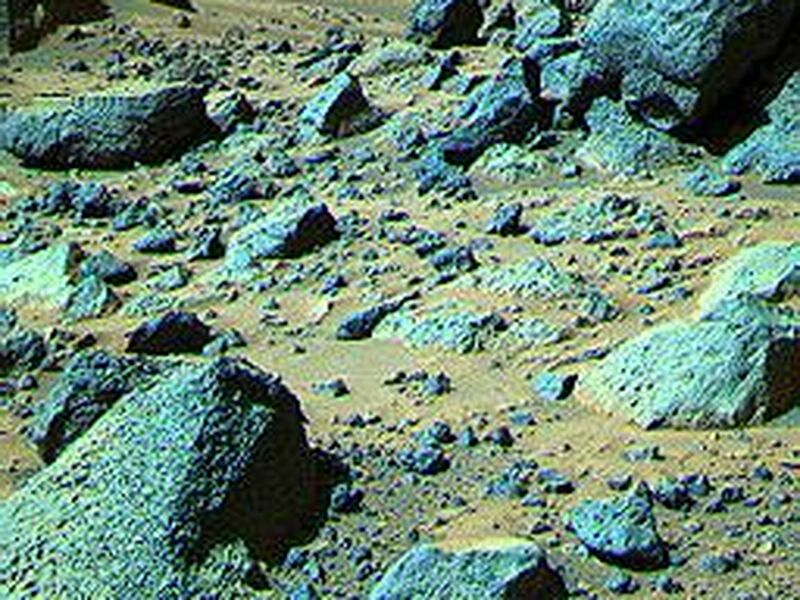 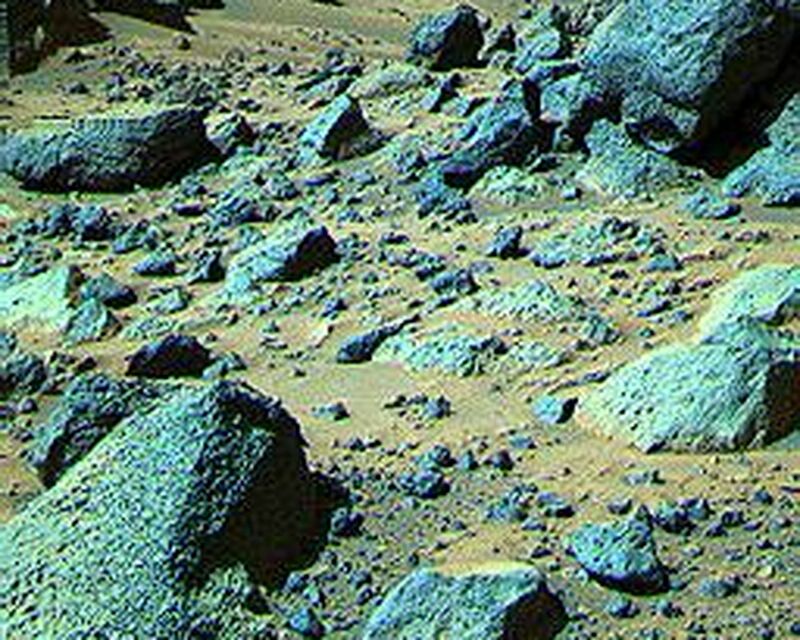 This false color composite image from the Pathfinder lander shows the rock "Shark" at upper right (Shark is about 0.69 m wide, 0.40 m high, and 6.4 m from the lander). 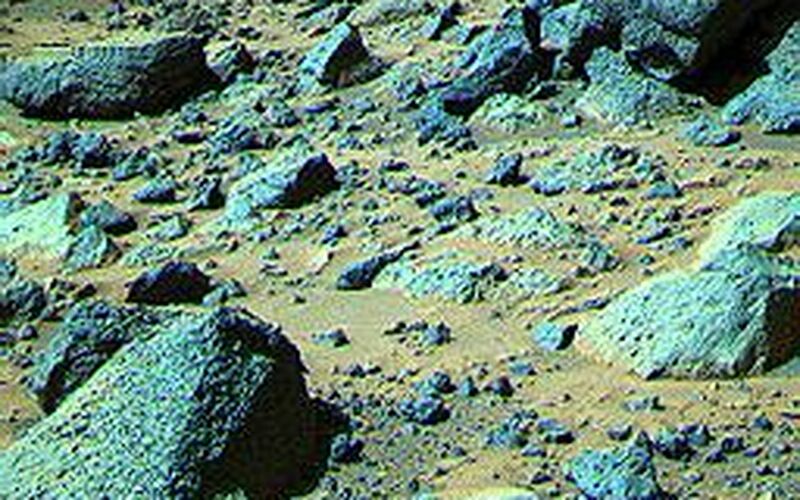 The rock looks like a conglomerate in Sojourner rover images, but only the large elements of its surface textures can be seen here. 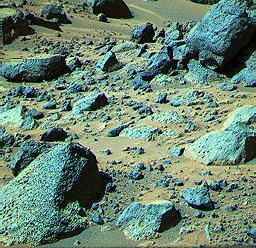 This demonstrates the usefulness of having a robot rover geologist able to examine rocks up close.